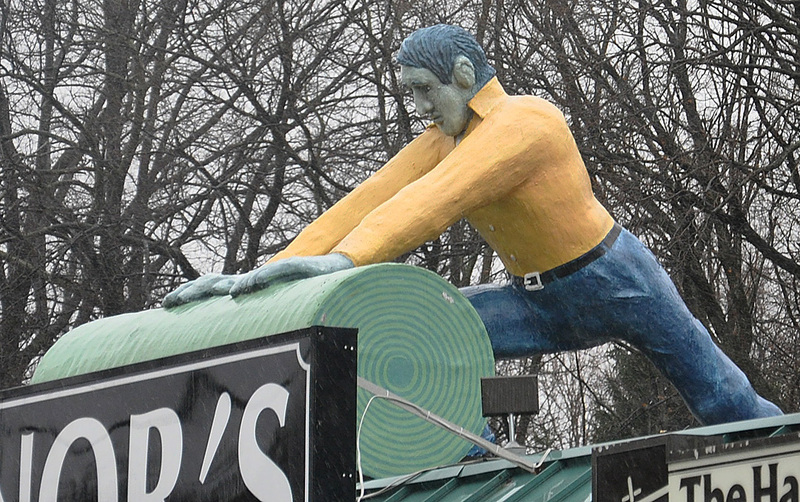 Tony's Pizza opened in 1962. 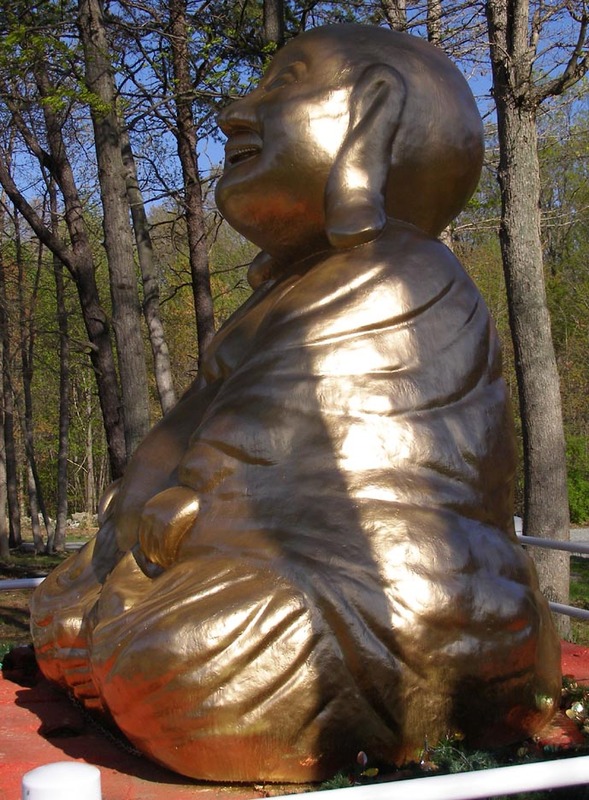 This is the same statue with a modified head. 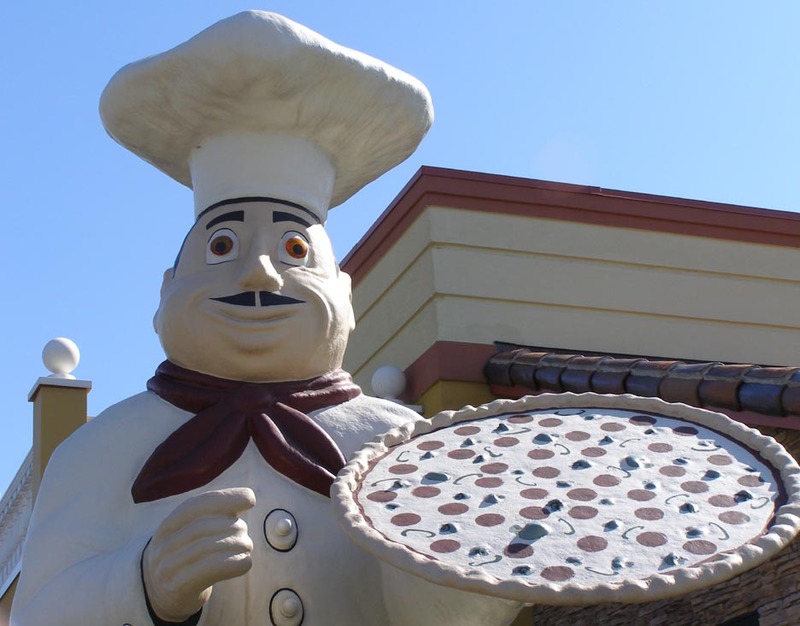 It was purchased at a restaurant show sometime after Pizza John's got theirs. 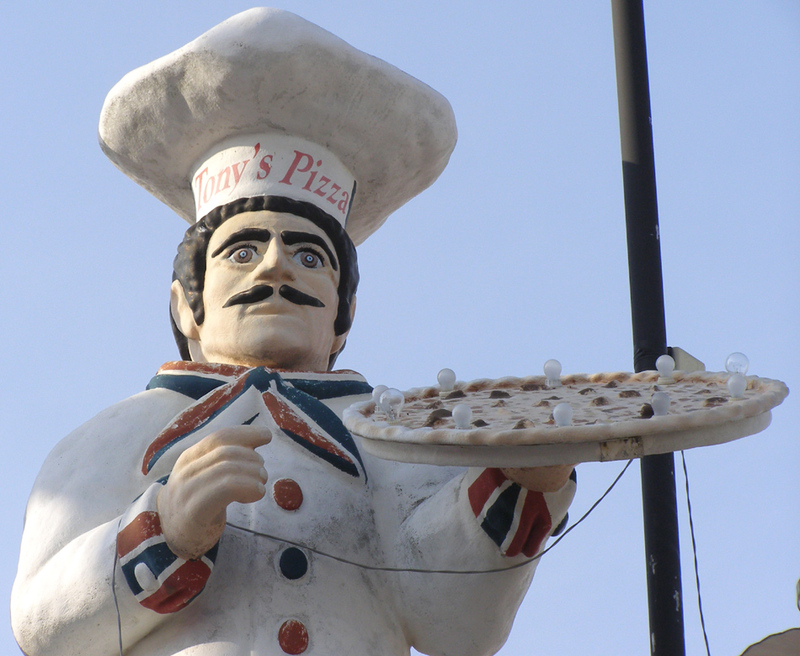 The original modified statue was built for Vince's Pizza in Rochelle, IL. 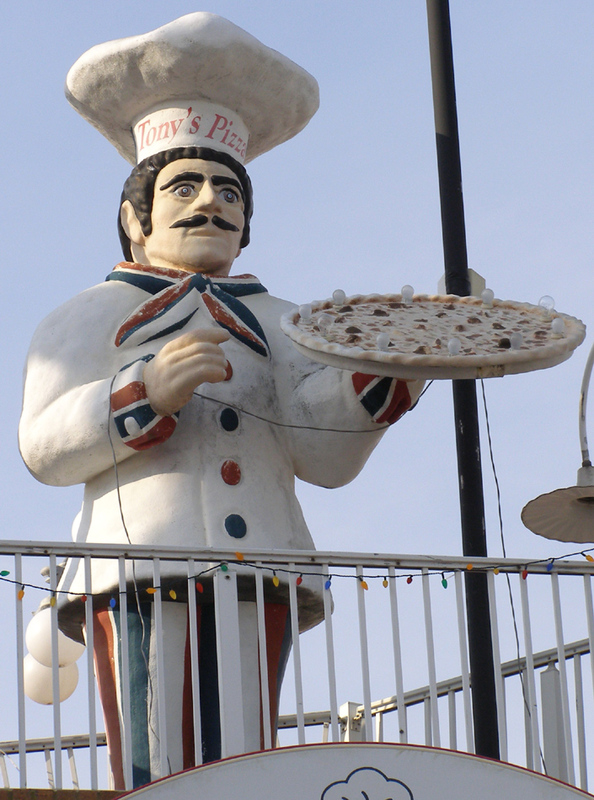 This Ocean City statue has light bulbs on the surface of the pizza unlike the other statues which have bulbs on the chef's coat buttons. This Marine statue was one of two standing in front of Ranger Surplus, an Army/Navy surplus store. 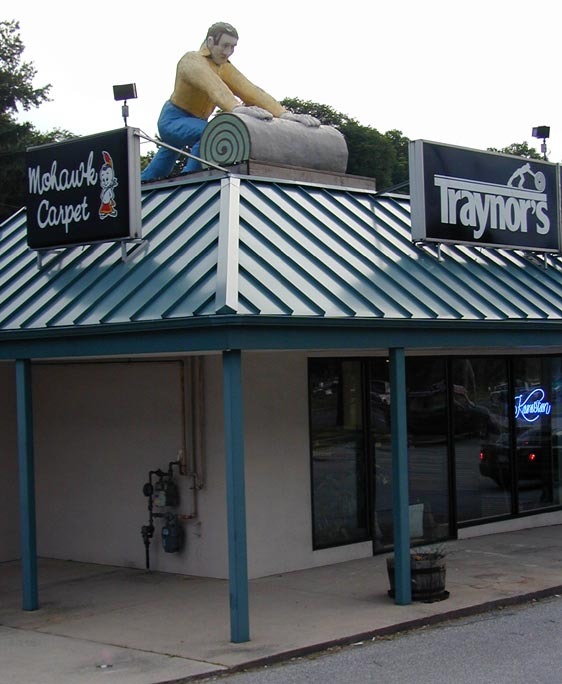 The store closed in 2014 and the statues are gone. 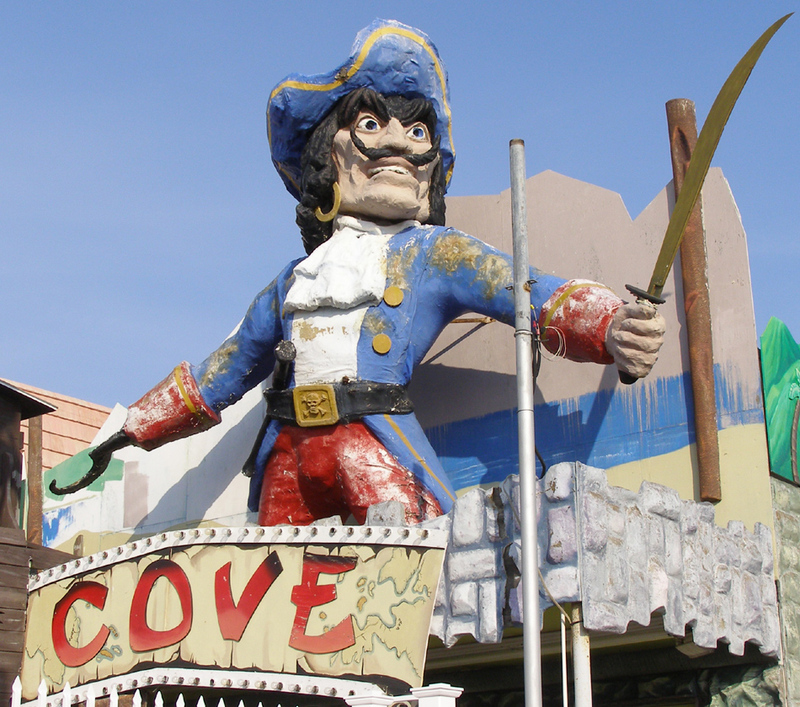 Pirate's Cove is a ride at Trimpers Amusement Park. 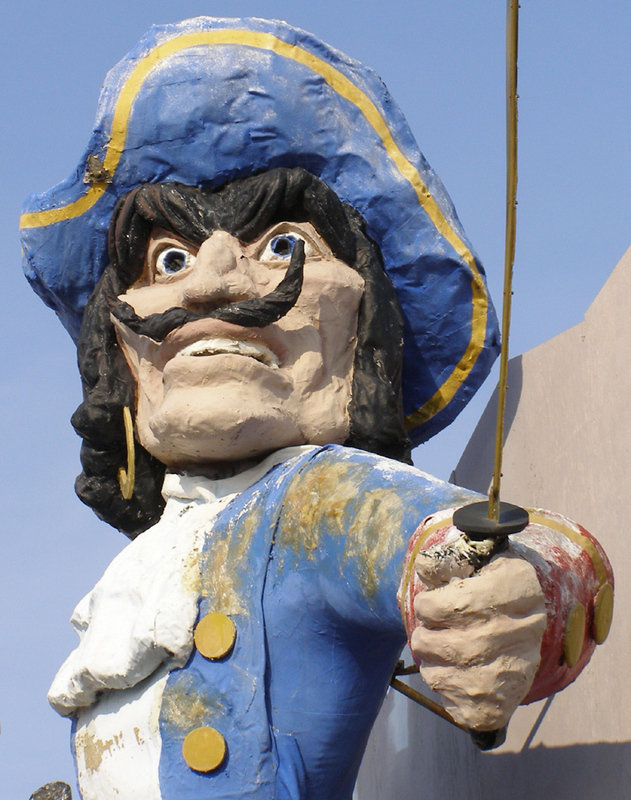 The ride and pirate were created around 1970 by Bill Tracy. 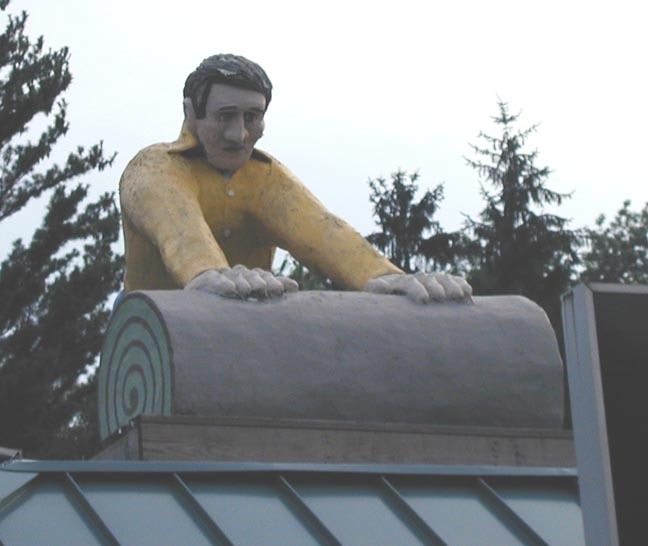 He designed other similar figures for the Pirate's Coves at Waldameer Park in Erie, PA and another (now gone) at Dorney Park in Allentown, PA. For more, see these websites: 1 and 2. 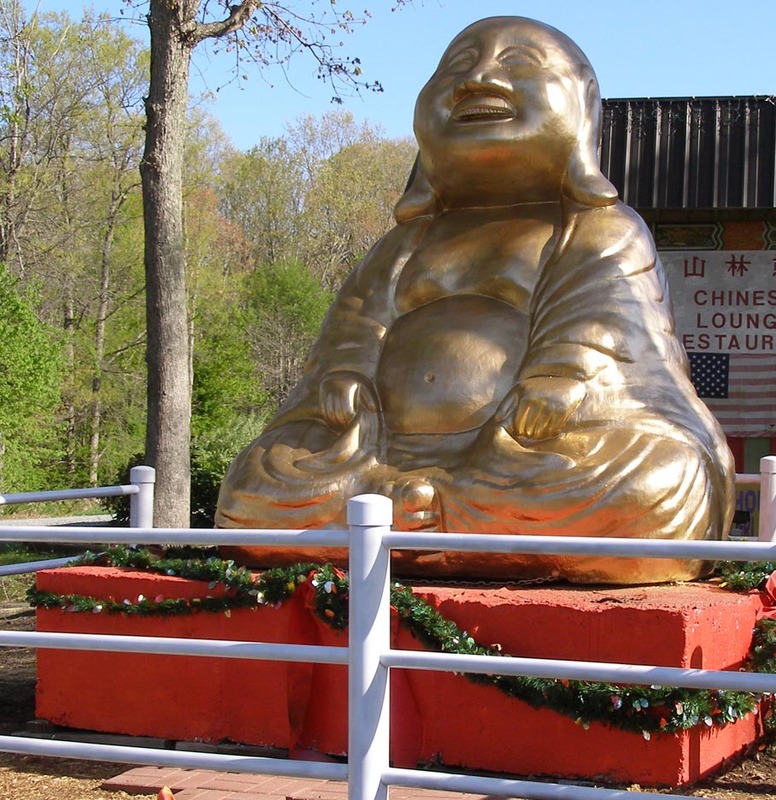 The Elkton Buddha sat in front of the San Lin Chinese Restaurant for many years. The statue was lit up at night. These photos are from 2006. 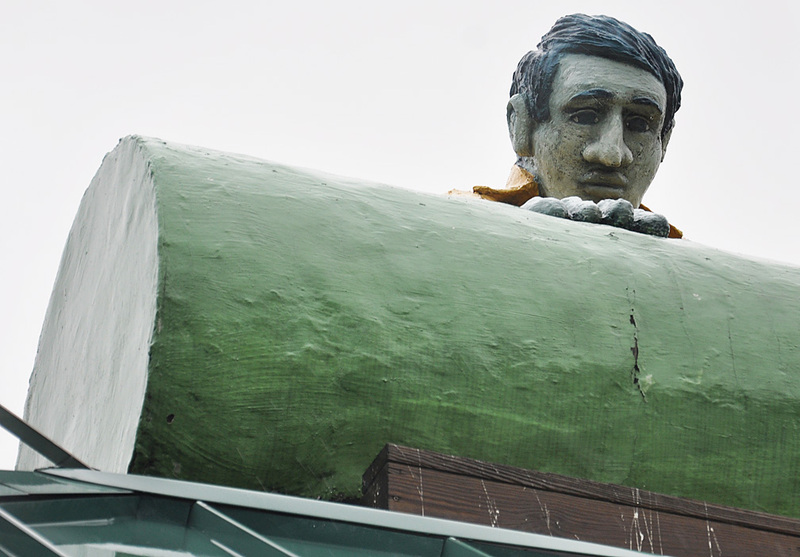 By 2014, the restaurant had closed and the statue was removed. 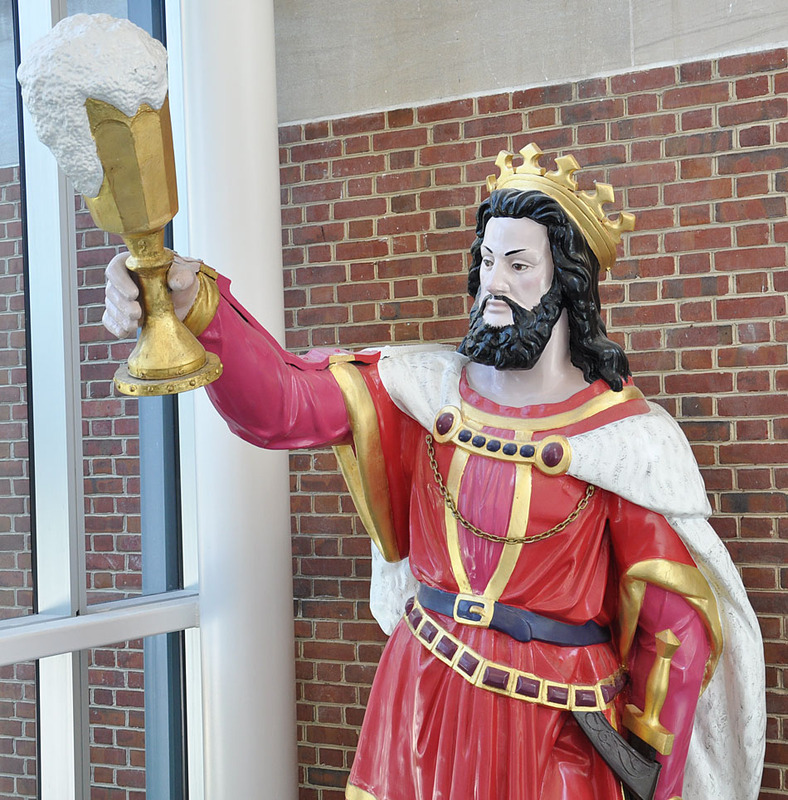 This King Gambrinus statue was originally installed in a niche above the door of the John Frederick Wiessner and Sons brewery in Baltimore. 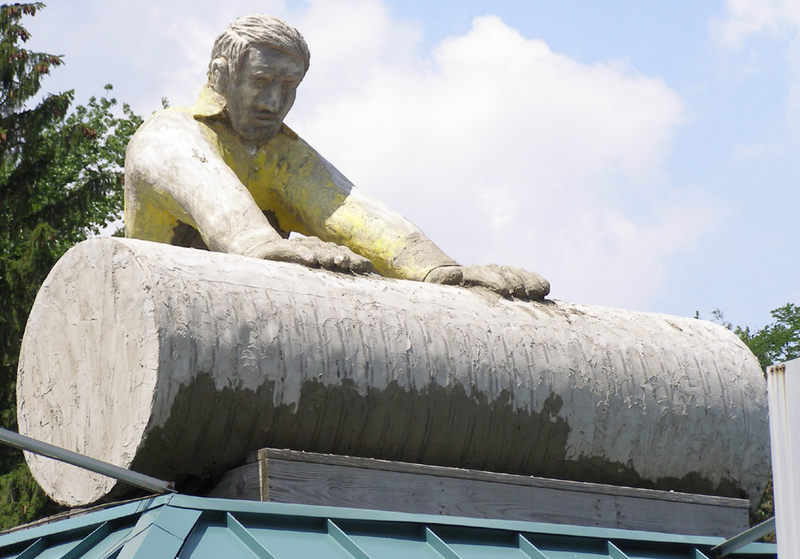 The zinc statue was built in the late 1800s and stands 10 1/2 feet tall. 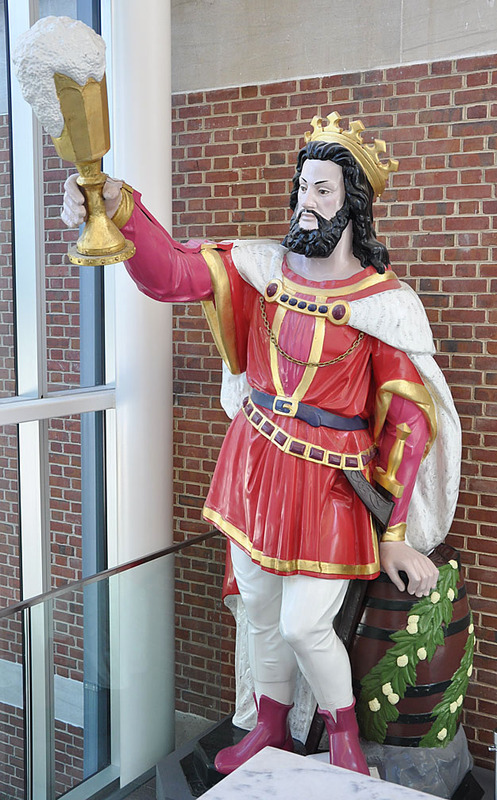 The statue is now on display at the Maryland Historical Society museum. It was placed in storage in 1988 and then restored for about $20,000 in 2003. 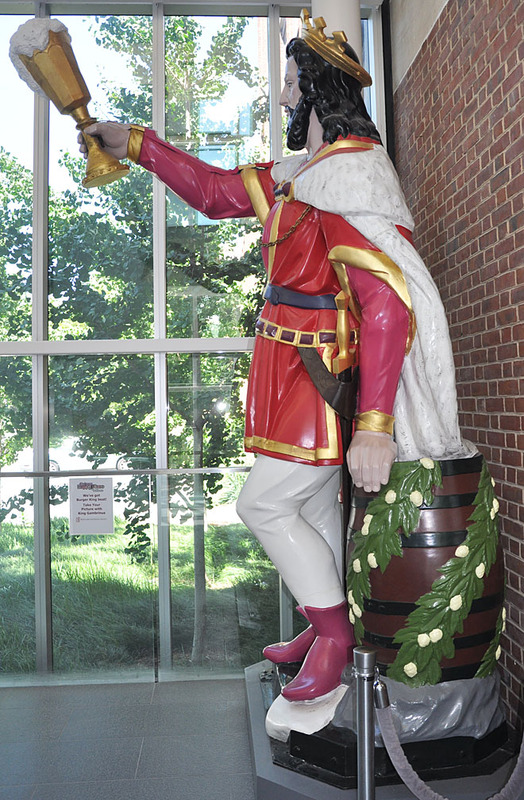 King Gambrinus, aka the King of Beers, has frequently been used in association with breweries. 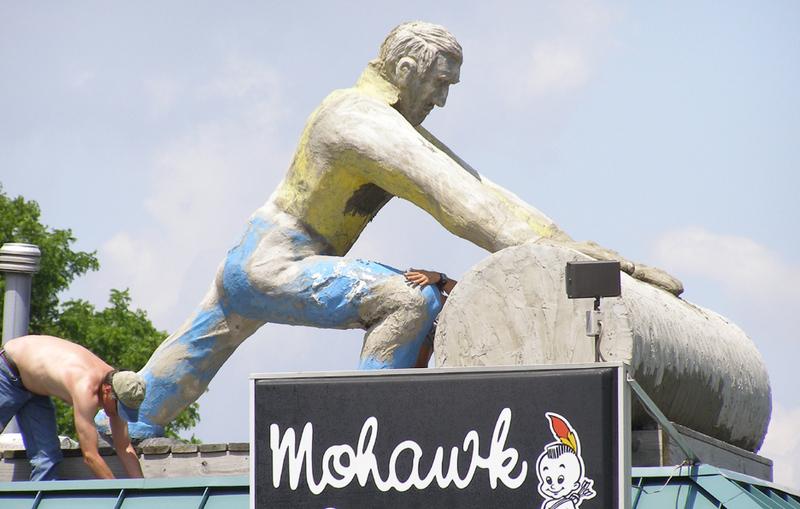 There are several other statues around the country including these in La Crosse & Milwaukee, WI, New Orleans, LA, and Columbus, OH. For more, see this website.